Catie Hartsfield’s life changed dramatically on May 23, 2004. The small business owner and mother of four teenagers received the news that her son had fallen 180 feet off a cliff. This book is the true story of this mother’s journey and the ripple effects the accident had on her and her family’s life. Thank you for every single big and little reminder about what is really important. I thought I was helping you guys all along, when really, you were here to help me, too. Well done, Catie. Kelly, Thank you for being there to be on the intervention team when we needed you most. For those who do not know, different story, different time….Maybe the title of a new story: The Year of the Mashed Potatoes. I received this book tonight before my night ended at the bank I work at by one of your sons after a co worker assisted him. Just being a few chapter into I honestly can’t put it down. I didn’t suffer what you went through but reading the part about the spinal fluid leaking out his ear I can relate to and it made me ball my eyes out. My mom just a year ago had to undergo brain surgery for SPF leaking out of her ear for 3 years. The doctors were in awe on how she didn’t form meningitis. I’m so happy your son let me have one of these books and his words were to pass it on to some. That someone will be my mom. Thank you for sharing what happened to you and your family. Reagan, Thank you so much for your kind words. I am so sorry for what you went through with your mother, but happy that our story spoke to you. I am so happy that my son was able to share our book with you, and thank you for passing it on. If you know of any book clubs, we love to come speak with them. WE have not experienced any problems with our site. I will have someone check into it. Thanks for the info. I am so sorry to hear about the accident that your nephews ordeal. I am so happy to hear that he is has also recovered from his accident. The ripple effects from a life changing event such as these events are truly amazing. Thank you for your kind words about our book. I cried the entire time I wrote the book. My heart is warmed to know that you were able to feel my emotions from the pages of the book. Thank you for taking the time to write. A very inspirational read with so many parallels to my family’s life it was comforting and disturbing at the same time. My son when he was 20 years old fell 18 feet through a hole in an old abandoned church balcony. The scenes in your book of the experiences in the waiting room in the intensive care unit, the experience in his “room” in the ICU, the coming and going of visitors, the transfer to the rehab center and the experiences there all mirror our own experiences. Our son spent 2 weeks in the hospital and 2 more weeks in the rehab center. Unfortunately, after a long year of rehab and slow progress, our son committed suicide by jumping out of his father’s 7th story apartment building. He left behind a son (our grandson) for which we are grateful. My marriage, which was falling apart at the time, did not survive but his father and I drew closer together while we tried to cope with and manage our son’s recovery. It wasn’t enough. The accident and suicide continue to leave its impacts on our son’s sister and brother – again many parallels. Thank you for writing the book. I enjoyed reading it. Nancy, Thank you so much for your honesty and your courage to speak the truth. I don’t know if people really understand, (and who could unless they lived it) the edge that all severe TBI’s live on, we did for almost a year. We too felt at times that it could have swung either way. Depression is a reality of TBI’s. The stress that it puts on a marriage is also a reality. Your heartfelt note was a great reminder that we were so lucky to have escaped through this trauma with our son and marriage intact. I am very sorry for your loss. You have a powerful story to tell, surviving the accident is only the beginning, the aftermath can be devastating as well. Again, thank you for your honesty. I met Catie on the bike trail with her husband and two grandchildren. I read The Year of the Cicadas in two days’ time. It is definitely a page turner. I enjoyed it very much and found it to be inspirational. My mother is now reading the book, and she has recommended it to her local library. My two sisters are in line to read it next. My sister-in-law couldn’t wait for the others to finish so she downloaded a copy onto her kindle from Amazon. Thank you for publishing your family’s story. I remember meeting you on the bike trail, my husband is my best promoter. I am so happy that you all liked our book and that you are sharing it amongst yourselves. Thank you for writing. I do speak at book clubs and events, so please let me know if you can think of any. Catie, as a man, I would like to say that your family’s story had me captured from the 1st page. My wife Mary said that I needed to read this book and I could not put it down. I couldn’t believe the tenacity that you displayed and the level of commitment that was evidenced in the round-the-clock care that you gave to your son at the expense of your own health. This is not a book written for women from a woman’s point of view. This book crosses gender as well as age group lines as a must read to get to see the “realness” of family life and how, through the grace of God, prevails and even prospers under the most stressful conditions. Thank you for your honest, open, transparent and even “graphic” account of your family’s journey from the Gorge! See you Saturday at Joseph Beth. Thank you for your support. It warms my heart to hear from a man, and a man’s point of view. Men get that this story although told from a Mom’s viewpoint, it is also told by the viewpoint of the men in my family via journals. Steve was essential to the recovery of our son. Thank you for your comment. Dear “Hartsfields”, I wanted to wish you all a happy 9th anniversary and wanted to thank you all for sharing yourselves so intimately at the Joseph Beth signing. I was googling hiking falls and came across a website called http://www.hikerhell.com and referred your book to the site master Brian Q. Yesterday, while trying to keep the pain from the shingles I’ve acquired at bay…I finished the last 150 pages of a totally remarkable book, “The Year of the Cicadas”. I ordered my signed copy in December but for some reason I didn’t start to read it until last week. Hmmm…the timing means something, I believe. Anyway, “The Year of the Cicadas” is just about the most honest and transparent book/account I’ve ever read. These folks are ‘real’ and through Catie’s words the whole family shares their raw pain and awe-inspiring victories with us. What a unique privilege to have been allowed behind the scenes with them and read how they struggled with terrifying physical injuries and heart-breaking emotional and mental pain. I am honored to have it in my library and have already started to tell everyone I know to get this exquisitely painful AND beautiful book! Thank you so much for your kind words, and for going the extra mile by telling your friends about our book. Have you signed up to receive our blog posts yet? If not you can do it here on our website. Yes, I have signed up for the blog posts as well. I’ve promoted artist and writer friends for year, and so have sent emails and a post on Facebook to encourage folks to read this book! My husband and I plan to be at the book signing on May 4th, too. Blessings! Brenda, Thank you for your kind words and for taking the time to reach out to us. It sounds as if you have had a rough go of it as well. It means a lot to me to know that someone like you who has spent so much time as a care giver finds our story to helpful. Keep spreading the word, our marketing plan is one person, one story at a time. 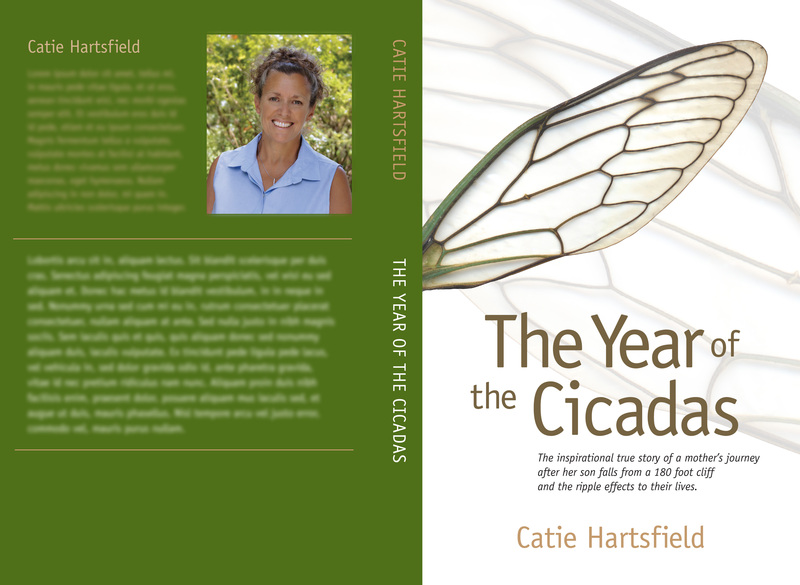 Catie your amazing & triumphant story couldn’t have entered my life at a more unique time. I grieved with you as a mother and wife; your strength is astounding. Ive been dealing with an “internal” issue and your story and advise encourages me to face it, deal with it and see where it takes me. God bless you! I am so happy to hear that you did not get that “phone call” that we as parents are so afraid of receiving. I hope you enjoy our story and stay in touch. Thank you everyone for your wonderful reviews. We are now up to twenty-five reviews on Amazon….Our readers are the best. We could not have done it without you. I received my signed copy in the mail on Saturday…. And after reading till 3:15 am I made myself go to bed. This story is riveting… I felt a connection with every person in it. I cried… I laughed… I was angry…and finally understanding… I took away so many meaningful life lessons, and as a parent there are so many times you ask yourself…are you doing the right thing?? This book speaks to you and confirms that yes… there is NO better “right thing” than your gut. Thank you for sharing your story.. all parts even ones that no one wants to talk about. I am TRULY a better person after reading it.. “I had given away my power, when I did it aloud someone else to fill in” No TRUER words were ever spoken and once again thank you for speaking them.. I finished it this weekend as well. It is a compelling read that I could not put down. The rollercoaster emotional ride and clearly honest feelings, open wounds, and raw nerves make for a dramatic story and leaves you awake at night thinking about how life can be both fragile and incredibly resilient at the same time. I finished your book last night. It was truly inspiring. What a gift you have given the world in this book! Thank you. Hi Catie, I finished your book last night and couldn’t sleep thinking of all the powerful lessons I discovered along the journey of your story. Thanks so much for putting your vulnerability into print. Your courage, tenacity and open heart have touch me in a very profound way. THANK YOU!!! I believe through your story Women/Mom’s will continue to unite, realizing we are not alone in our emotions, EVERY single one of them…. Tracy, Thank you for taking the time out of your busy life to spend time reading our book and discovering our journey. I am thrilled that you got so much out of the book and for sharing your thoughts. Hi Alicia, thank you for posting your photo on fb and for reading our book. Let me know what your thoughts and take aways are. Charlotte, Thank you for all of your support and faith in me. This has been a labor of love, and I can’t wait to find out what you think about the book.